Don’t expect to crack these fortune cookies open to predict your future. Just like the real deal, they don’t taste very good either. But they will store your files and keep them safe. 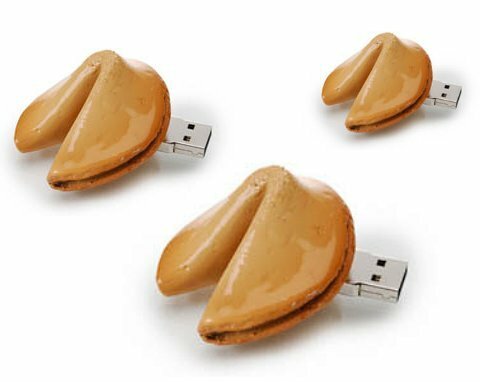 The latest in the “Freshly Baked” series of USB flash storage devices from Vavolo, the fortune cookies come in both 1GB ($29.99) and 2GB ($49.99) versions.